A mood board is a collection of things that inspire you for a design project. The purpose is to help you identify the items you like and may want to include in your design. 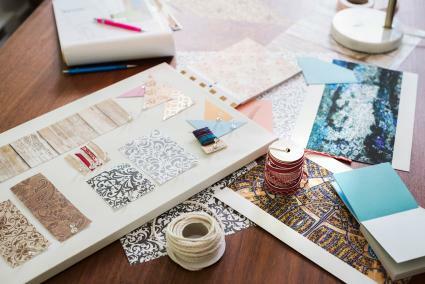 Two popular types of mood boards include online and physical representations. Both can serve your project. The easiest way to create an online mood board is to use Pinterest. You may prefer a designers' favorite, Olioboard, where you can choose from a library of photos and/or download your photos. The first thing to do is create a new board. Give it a name such as Living Room Mood Board or Kitchen Mood Board. Go through the relevant boards on your Pinterest account and select the items that fit your project in style, texture, and color. If you don't find everything you want, browse through Pinterest, Olioboard, and various design websites for additional ideas to save to your mood board. Once you've copied items to your mood board, conduct a one final run-through to cull items that don't really fit your theme, style, or color palette. 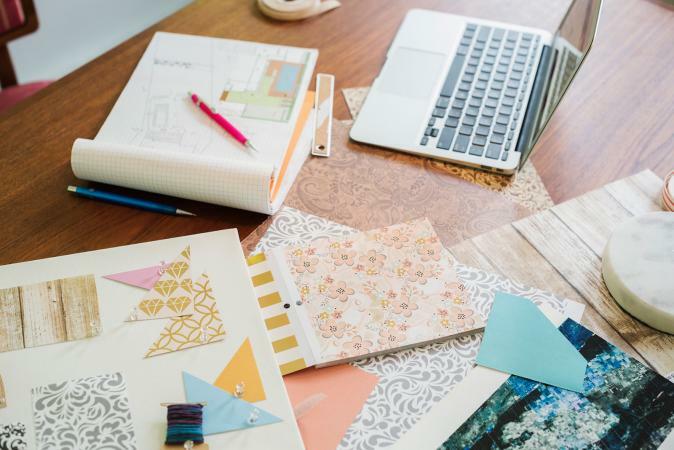 Be sure to save your mood board online and create a backup on your hard drive, pen drive, or cloud. Unlike an online mood board, a physical board displays actual samples of things you like. In addition to photos and magazine cut-outs, this board provides you the opportunity to see and touch the actual item you're considering for the design project. A physical mood board can be made from any material, but the easiest one is a reusable cork or foam board for pinning samples. You'll create the physical board the same way you would an online board. The main difference is you'll have a mixture of actual samples and photos. Find inspiration by thumbing through magazines and cutting out items you like. Print the items from online magazine subscriptions and from your Pinterest boards. Fabric swatches: Most online and brick and mortar stores sell fabric swatches. Carpet samples: Carpet stores often provide small swatches of carpet samples or sell discontinued carpet samples you can use as a guide for texture and color. Tile samples: Most tile stores sell individual tiles. Paint chips: Paint stores always have paint chip samples. Arrange your board so it's easy to see the relationship between colors, styles, and textures of your selections. Once completed, snap a photo of your mood board for a permanent record. There are a few things that will ensure the success of your board. Add only items you love to prevent going in the wrong direction. It's usually best to work room by room. Arrange samples in relationship to each other, such as a kitchen cabinet sample and a countertop sample. A rug, carpet, or flooring sample isn't always large, but large samples will need to be cut smaller to fit your board. You can arrange furniture upholstery samples, draperies, and wall paint or wallpaper around the flooring sample. Group samples by styles, colors, and textures to present an overall picture. 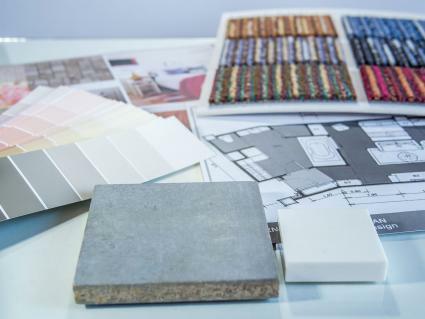 Creating a mood board for your interior design projects should be a no holds barred exercise. The goal is to create a visual representation of the things you find inspiring and desirable for your room design.